• To fill fully transparent pixels with the selected color and blend partially transparent pixels with the same color, select a matte color and deselect Transparency. To select a matte color, click the Matte color swatch and select a color in the color picker. Alternatively, choose an option from the Matte menu. The matte color should match the background color of the Web page. 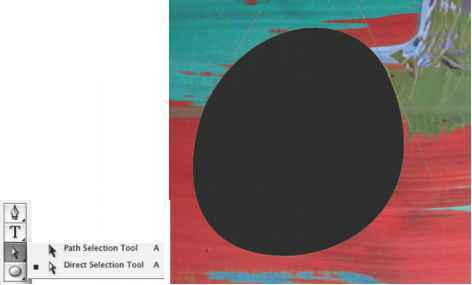 • No Transparency Dither applies no dither to partially transparent pixels in the image. • Diffusion Transparency Dither applies a random pattern that is usually less noticeable than Pattern dither. The dither effects are diffused across adjacent pixels. 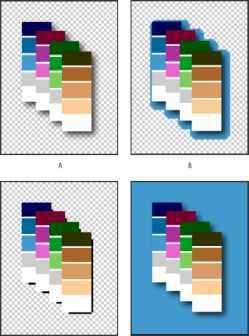 If you select this algorithm, specify a Dither percentage to control the amount of dithering that is applied to the image. • Pattern Transparency Dither applies a halftone-like square pattern to partially transparent pixels. • Noise Transparency Dither applies a random pattern similar to the Diffusion algorithm, but without diffusing the pattern across adjacent pixels. No seams appear with the Noise algorithm. Interlace Select Interlaced to create an image that displays as a low-resolution version in a browser while the full image file is downloading. Interlacing can make downloading time seem shorter and can assure viewers that downloading is in progress. However, interlacing also increases file size. Web Snap Specify a tolerance level for shifting colors to the closest Web palette equivalents (and prevent the colors from dithering in a browser). A higher value shifts more colors. Use Unified Color Table (ImageReady) Select to use the same color table for all rollover states.